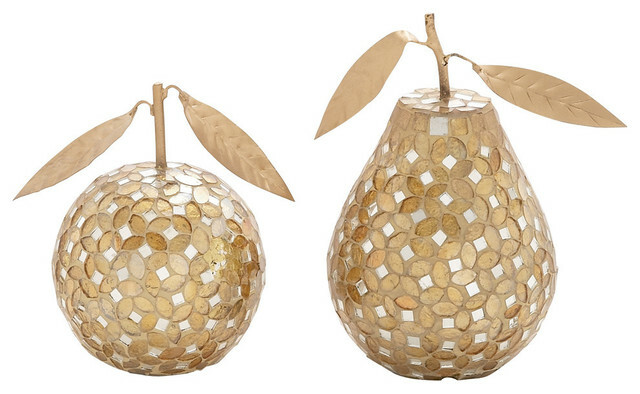 Accent your space with the charming 2-Piece Mosaic Pear and Apple Set. These fruit-inspired pieces of decor are made of iron and glass, and feature a gold finish. The apple measures six inches, while the pear measures eight inches.